I saw only one thread with someone asking about the bolt on wheel arch flares used on the 240Z. There was no conclusion. Has anyone done this? If so what brand did you use? How did it turn out? I absolutely love the look...standard 924 with a little muscle and helps cover wider rims and tires, lowered...I can see it now! Anyone have any advice...soooo want to to go this way. For less than $1000, you could have the correct DProd arches that are guaranteed to fit the 924. Why not go that route? I know this will be sacrilege to some, but I am not a big fan of the D-Prod look. It was true Porsche form following function, but I am looking for a tougher street look, and the ability to put some wider track on it. I absolutely love the Datsun 240ZG look, but I am also a big fan of a straight 924...just want a little more curve. I had actually thought about a quasi-street Lemans look (not CGT), but the power not being up to the look screams Toyota Celica with Trans-Am stickers! Not quite Nick...a little excessive for my little toofah. I was on your webpage and your euro931 looks fantastic. That is what I would like to achieve, 924 with just a little attitude. That satin paint looks absolutely badass! By the way, what kind of seats are those? 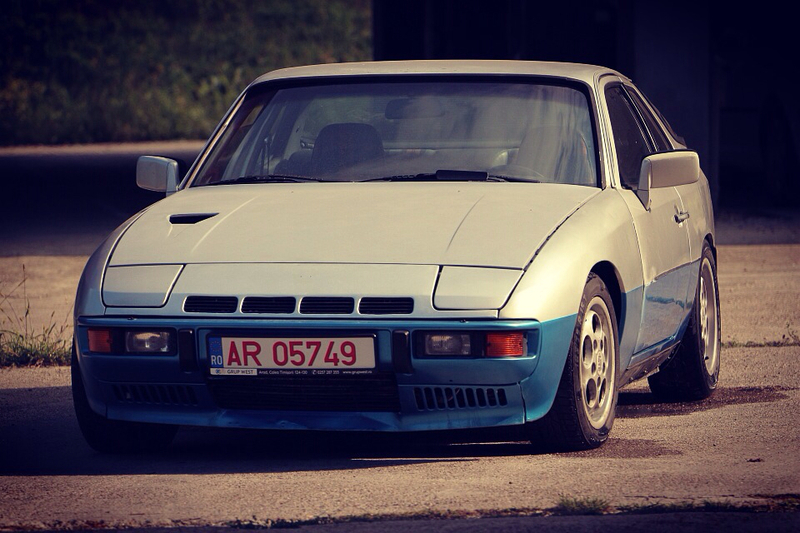 There is a European guy who is on the Porsche Club 924-944-968 facebook group who has done exactly what you're asking about. Personally, I'm not a huge fan of the look but I have seen much worse. I am much more a fan of what's going on in this thread. Not the best execution I fear. UK reg plate. The rear will only work by cutting the arch in a CGT rear flare way. Which is why the wheel is far too inboard. Most JDM arches won't be large enough to cover the cut is my guess. Love the reversed front wheel fitment, far too much poke!! Very true, but those arches also don't quite look like they were destined for a 924. Close but not the best design/shape. And yes I do know they were on the rallye. Almost there. Needs spoilered 924 v's 944 front end. I just saw a familiar picture on google and signed up here for this thread. I am responsible for the dark red 924 posted above. I'm not such a fan of that picture because some guy got a picture of it half way through doing the arches and the car was a bit of a state. the arches are from ebay. listed as jdm arches or universal arches etc. they are the larger size listed as around 70mm. if you got new decent condition ones they fit around the 924 arches well but you are going to need to cut bodywork front and back otherwise it will look like a monster truck. the wheels i didnt get quite right. the rears are 15x10 et-25 and the front are 8j with et -50 so sit in the same place. if i did it again i would go for an inch more poke on the back and half an inch less on the front. 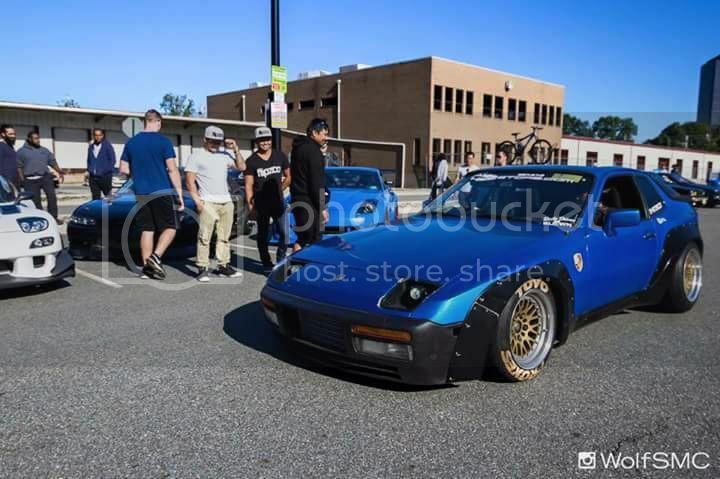 you could get some seriously wide wheels out the back with these arches but i didnt want to shell out for the tyres especially when the car wasnt capable of spinning them anyway. Jack, the new pictures look much better. I do like the look. Thanks for the update, it is much appreciated!!! Now those photos have definitely scratched an itch that I needed to see. Looks great. Agree on the wheel poke. you can get a spacer for the rear and different hubs for the fronts so you can still do something about the position of the wheels. Am the owner of the red car. Ive put the arches as an easy solution in order to fit wider Fuchs as my car has 3.0 S2 engine.